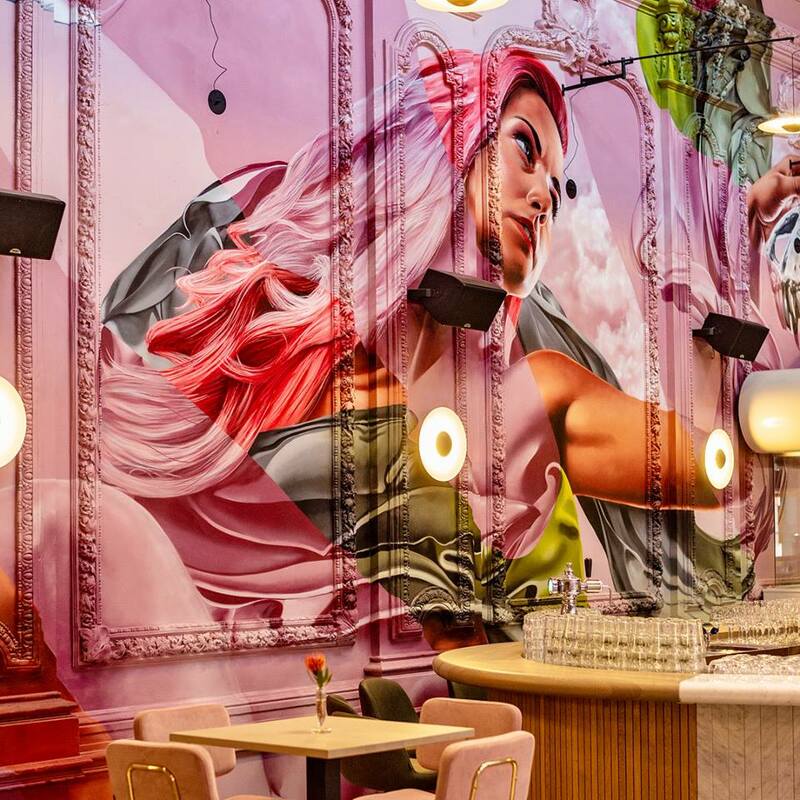 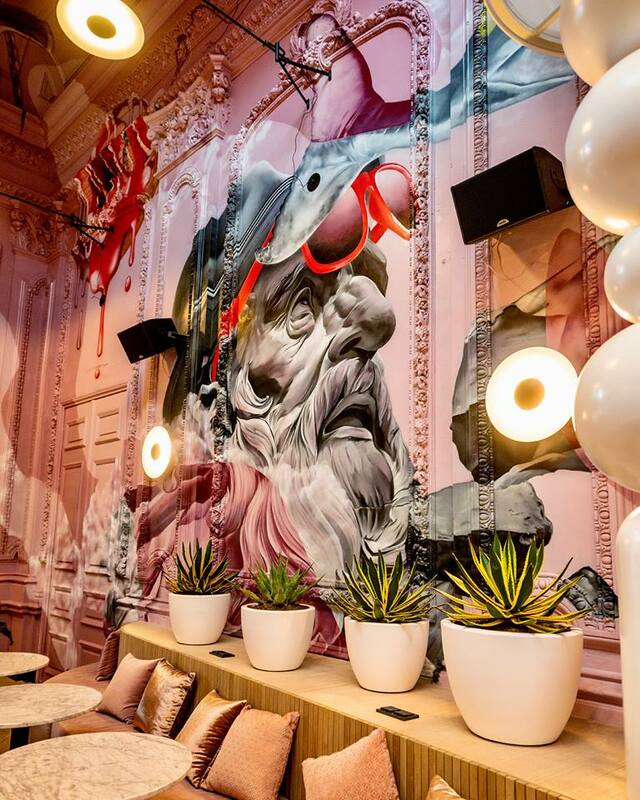 Classical meets modern in a surreal mashup splashed all over the walls of the Thomas cafe in the Netherlands, the work of a duo of artists known as Studio Giftig. 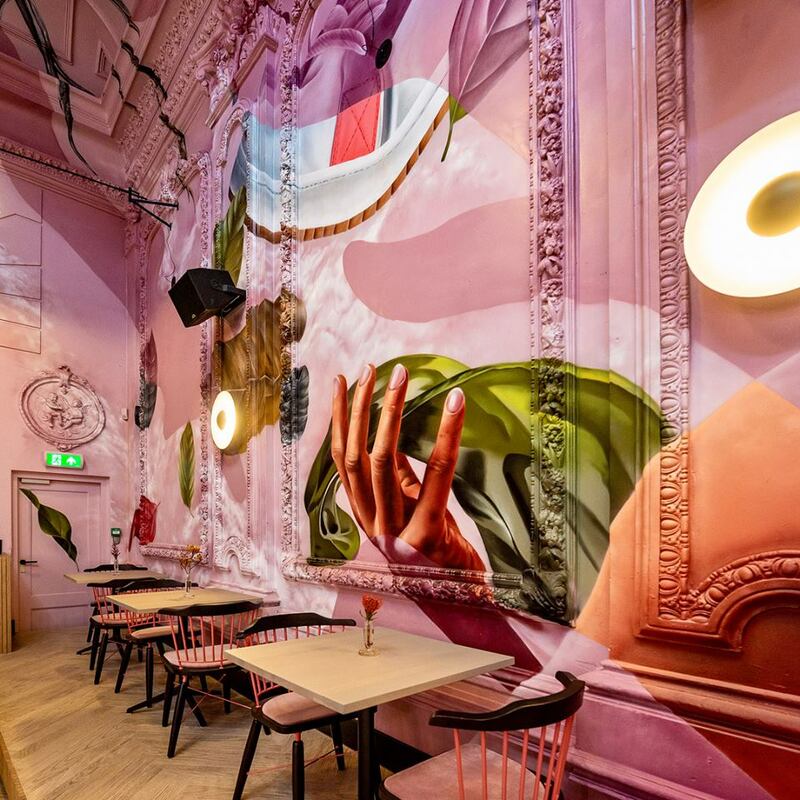 Highly in demand for their colorful, oversized works of art, Niels van Swaemen and Káspar van Leek were invited to transform the kind of space most muralists only dream of working in, wrapping their imagery around baroque molding and up onto the ceiling. 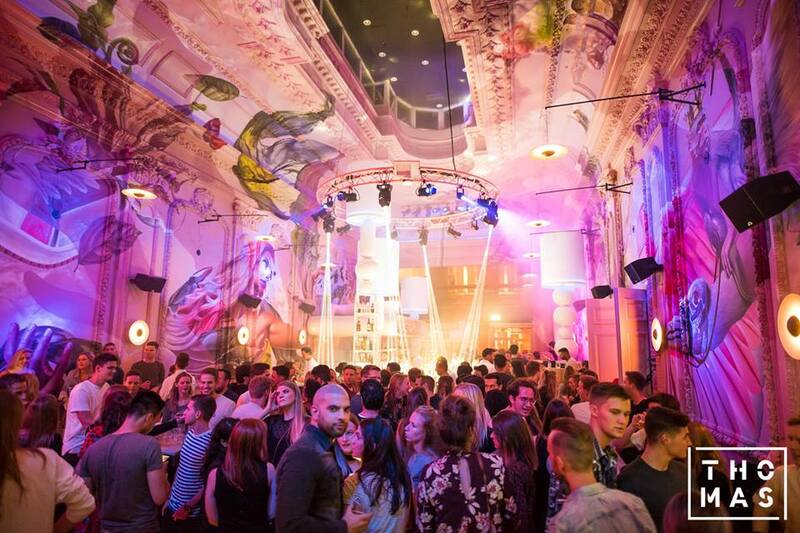 We’re excited to share this with you! 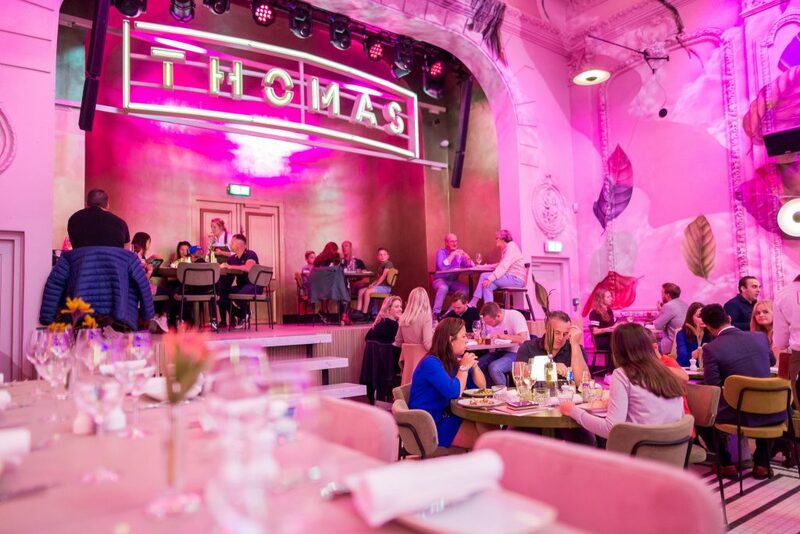 A few posts ago we teased it a little bit, but here is the amazing aftermovie of restaurant/bar Thomas in Eindhoven. 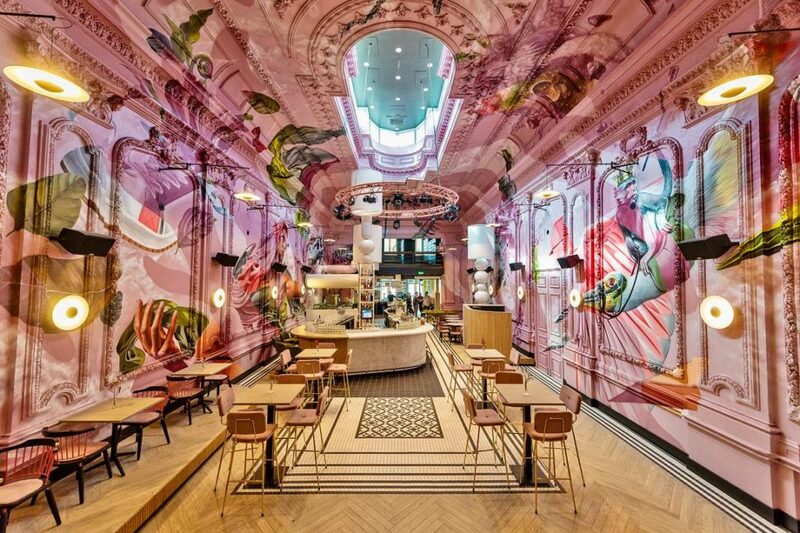 A monumental building we turned in “A SURREAL PERCEPTION”. 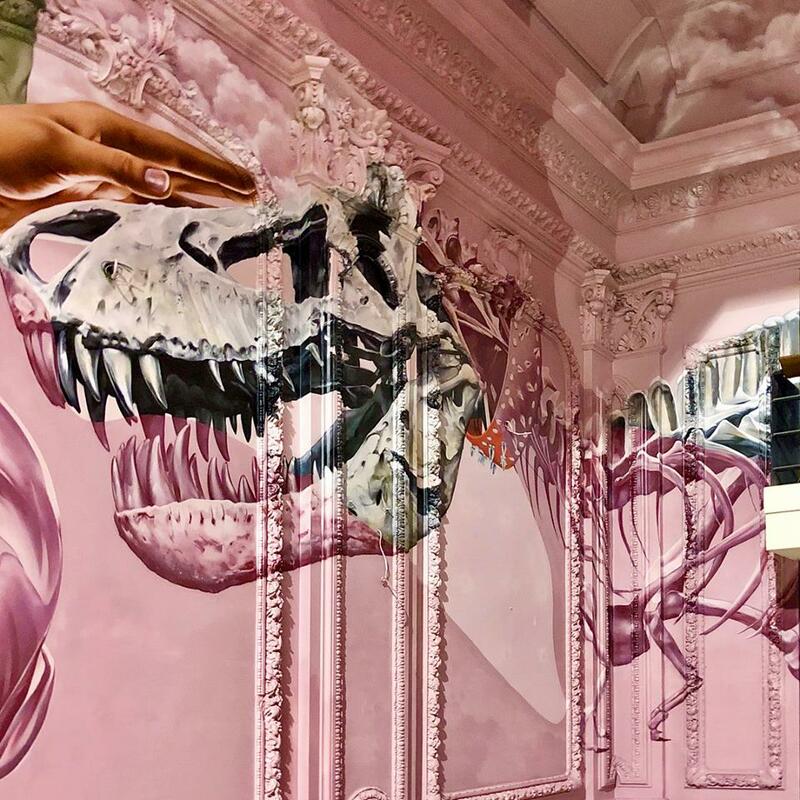 Entitled “A Surreal Perception,” the monumental piece pairs black and white portraits of stone statues with floating whales, neon sunglasses, crowned monkeys riding cranes and more, all set on a pale pink backdrop. 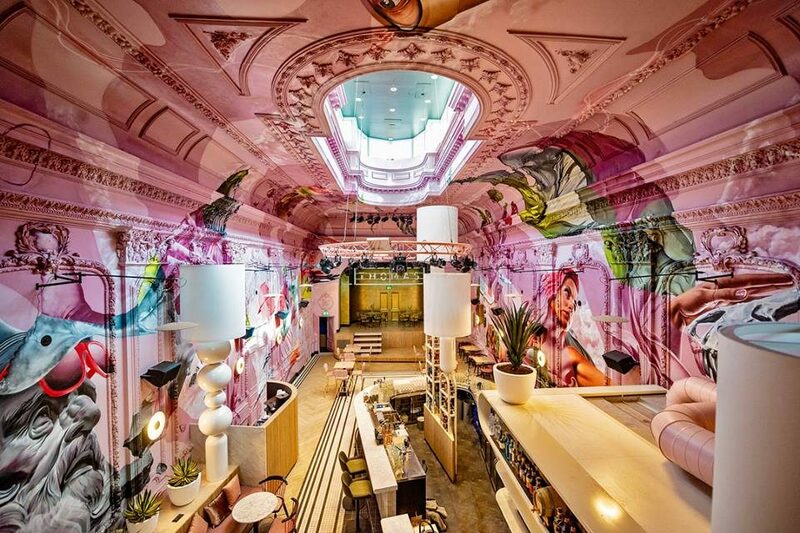 Much of the work was completed using spray cans, which helped them get into the nooks and crannies of the molding. 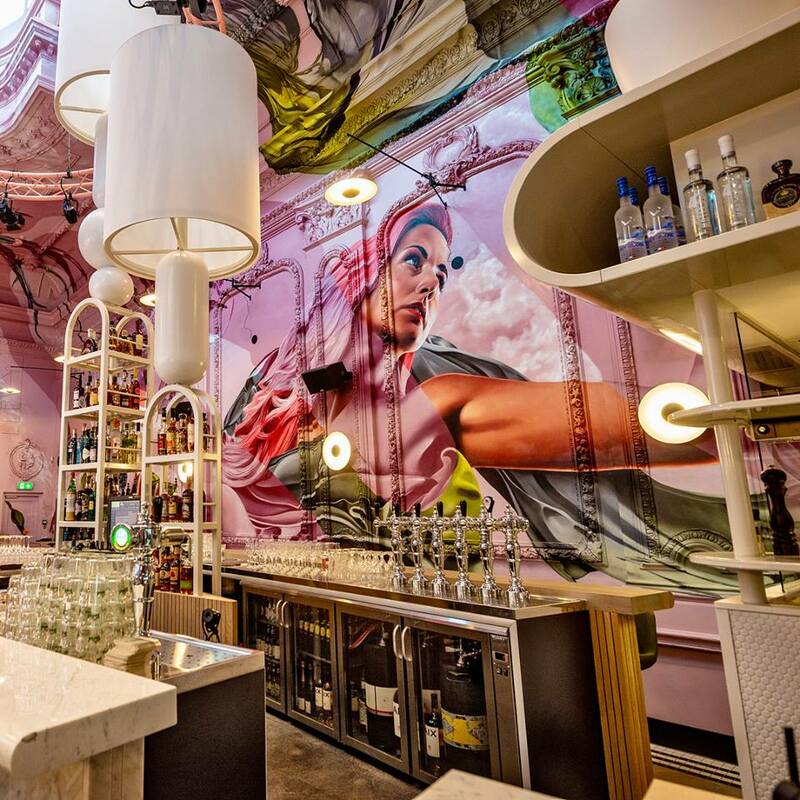 The result is a bar, restaurant and event space that’s truly unforgettable. 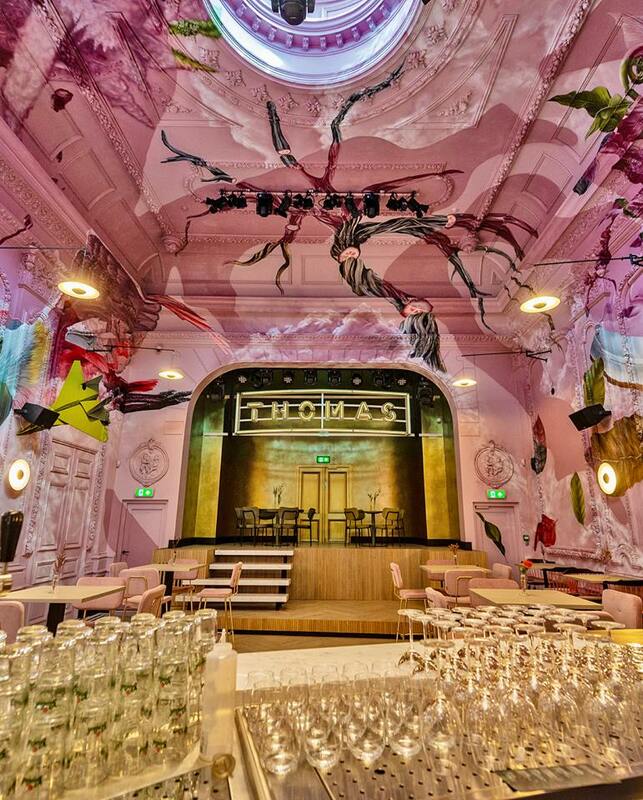 You can check out more images of these vivid interiors at the Thomas’ Facebook page, and follow Studio Giftig’s latest works on Instagram.